One of the most popular features as of late is size. People are not looking to brag to their friends that they have the biggest drill. Size matters, but now it is all about having the smallest tool without having to sacrifice on power. The benefits of smaller tools are obvious and the size difference between the new Bosch HDH181 hammer drill compared to the previous model is pretty impressive. 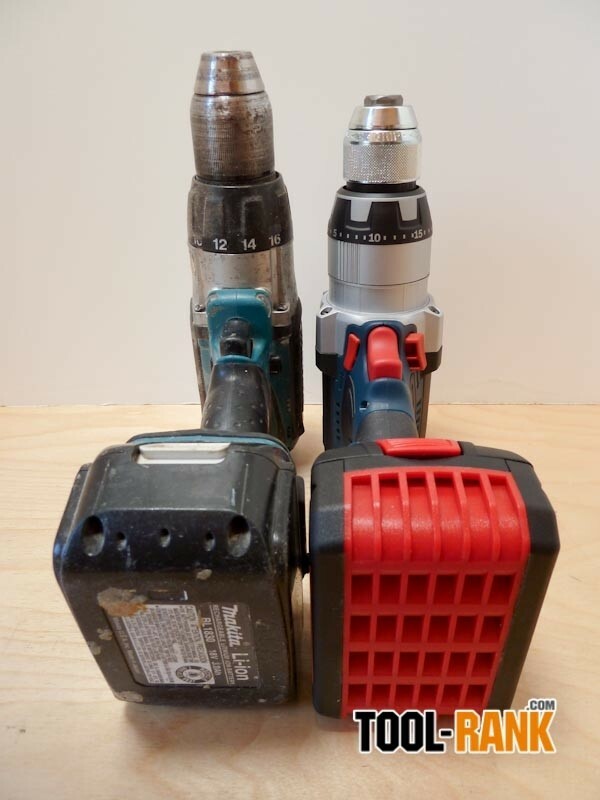 Bosch was able to shrink the length of the drill by nearly 1-3/4-inch, and it is very noticeable. Not only does the size allow the tool to fit into smaller spaces, but the compact size really helps with the balance of the tool. Bosch also says they lightened the front of the drill by using a lighter aluminum ratcheting chuck. Ergonomic wise, the drill feels good, though in some cases I could feel that I could have used a little more height in the grip area. Not that Bosch had to make the tool any taller, but if the grip did not taper at the bottom, we would have a 1/4-inch or so of extra room. This is not a huge deal, but is it something I noticed when the drill was used in different positions. Bosch deserves some more accolades for an easy to grip clutch/drill dial and hammer-drill on/off dial, that can both be used easily with or without gloves. Just about all drills come with built-in LED lights, but what I like about the Bosch is their choice to put the LED on their drill much lower on the tool, just above the battery. This location provides shadowless light and can illuminate the drilling area even when using hole saws. LED lights that are mounted near the chuck would just hit a hole saw and cast a shadow. Like I said, we like small tools, but we still need the power, and the HDH181 has it. Bosch rates the HDH181 as having 700lbs of torque, and when I compared it with my Makita 451, I could feel the difference right away. 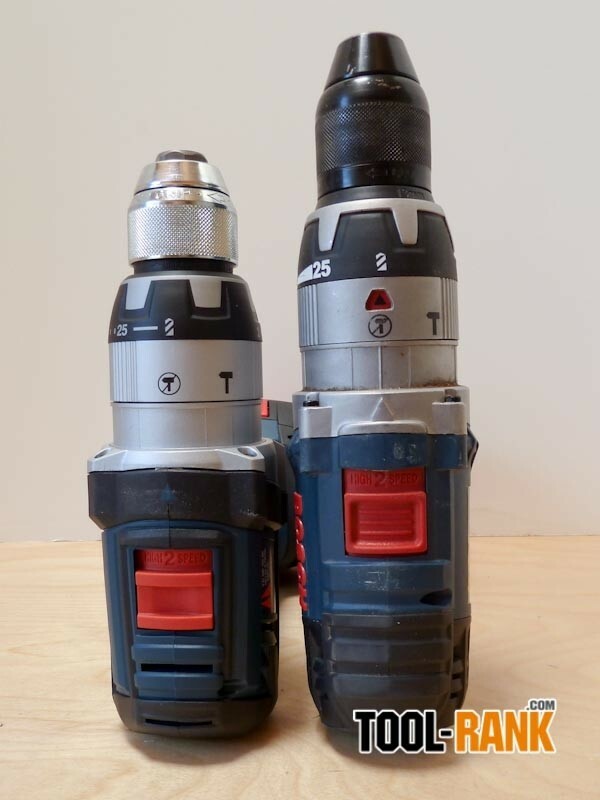 Both tools weigh in at 4.9lbs, but somehow Bosch was able to get more power out of a more compact drill (700lbs vs 560lbs). Though also keep in mind the Makita 451 is a much older tool. 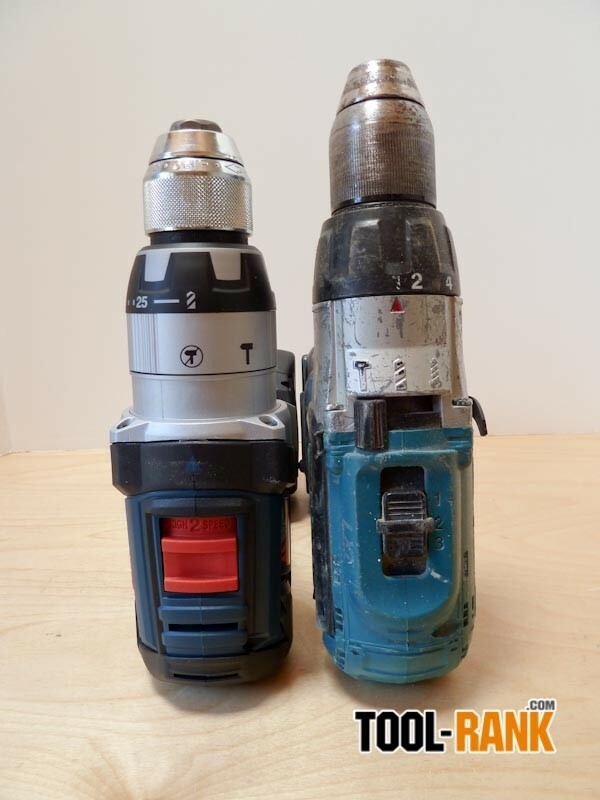 Comparing the hammer drill action side by side, the Bosch was able to break up and remove material much faster. One more of the new features Bosch came out with is a higher capacity Lithium-ion 18-volt battery. Their previous batteries were 2.6ah but their new HC batteries offer 3.0ah. While this is a nice new feature for Bosch, Makita has been offering 3.0ah Lithium-ion 18v batteries since day one. So why did it take Bosch (and the other manufacturers) so long to catch up? A nice new feature of the HC batteries is the addition of a battery fuel gauge. This is not a feature that I find myself using very much, but it is nice to be able to open up the case and see right away if you need to break out the charger. My overall impression of the HDH181 is high, and a lot of the reasoning for this is the build quality of the drill. It feels very solid in hand despite the use of strategic rubber bumper areas on the tool. And I bring this up because other contractor drills have used rubber bumper areas to help protect the tool, but they are attached poorly and end up falling off. If Bosch could improve on the drill, I would want them to fix my issue with the grip area. Though belt hooks rarely get used, they are still nice to have in case you need to free up your hands quickly; so that would also be on my with list. 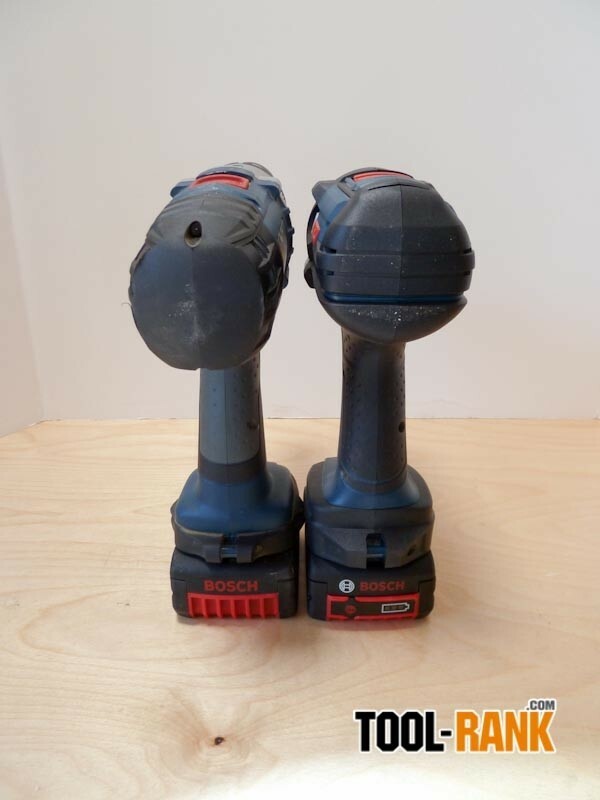 The Bosch HDH181 retails for around $280, and is higher than their competition, but a kit containing the HDH181 Hammer-drill and a Bosch Impact Drill is about $310. So if you do not need the impact, you could sell it off and get maybe $70 - $80 back. 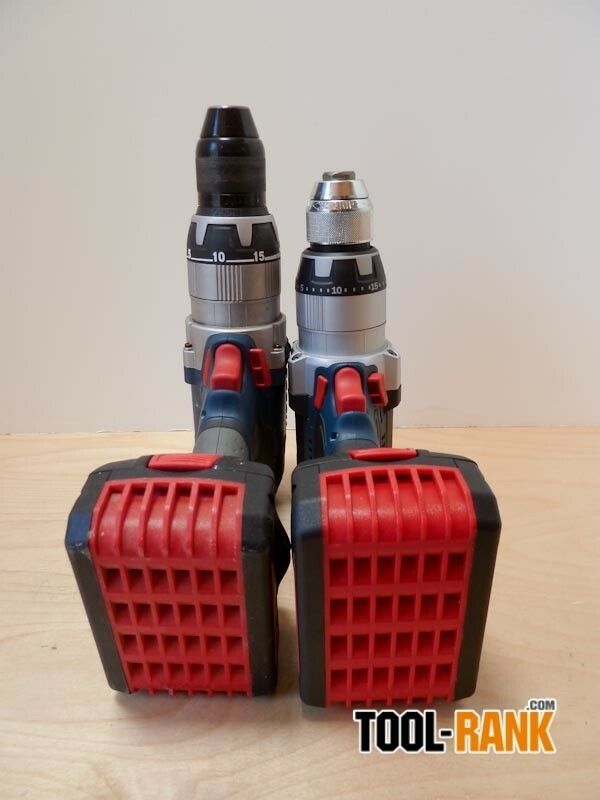 The regular HDH181 kit includes two 3.0Ah HC batteries, a charger, a side handle, and a double-sided Phillips bit.